This book examines competition and collaboration among Western powers, the socialist bloc, and the Third World for control over humanitarian aid programs during the Cold War. Young-sun Hong's analysis reevaluates the established parameters of German history. On the one hand, global humanitarian efforts functioned as an arena for a three-way political power struggle. On the other, they gave rise to transnational spaces that allowed for multidimensional social and cultural encounters. 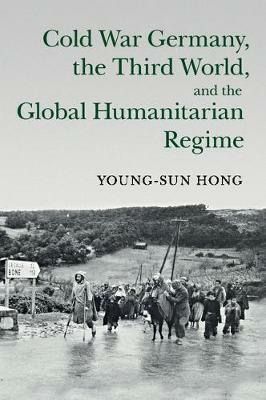 Hong paints an unexpected view of the global humanitarian regime: Algerian insurgents flown to East Germany for medical care, barefoot Chinese doctors in Tanzania, and West and East German doctors working together in the Congo. She also provides a rich analysis of the experiences of African trainees and Asian nurses in the two Germanys. This book brings an urgently needed historical perspective to contemporary debates on global governance, which largely concern humanitarianism, global health, south-north relationships, and global migration.